for the first time. That’s almost two Canadas, or three Australias. And this growth probably won’t slow for some time, since the majority of people that have yet to come online also happen to live in Asia. Today, our facilities in Taiwan and Singapore are online and serving these users in Asia and around the world with faster, more reliable access to our tools and services. Let me tell you a little bit about these newest additions to our global data-center fleet. 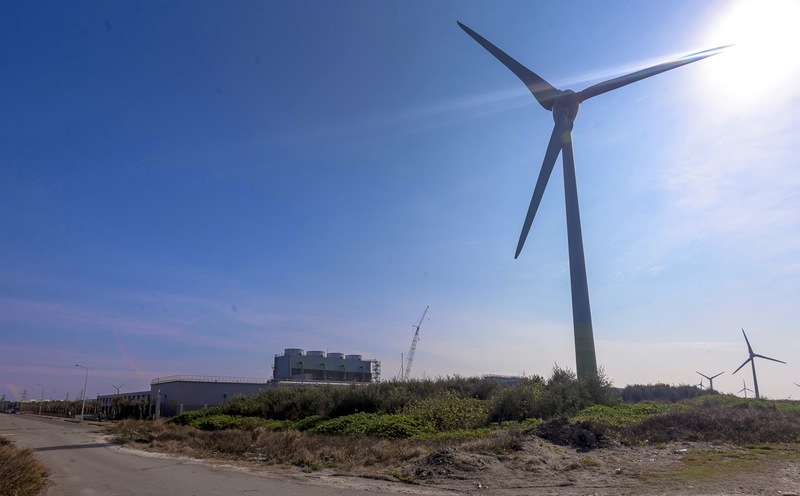 Located about three hours down the coast from Taipei, our new data center in Changhua County sits on 15 hectares of land in the shadow of some of the 100 meter wind turbines that dot the coastal industrial park. The larger of our two new Asian data centers, our long-term (and expanded) investment will reach USD 600 million. We built this to be one of Asia’s most efficient and environmentally friendly data centers. One way we’re increasing efficiency here that’s unique among our global fleet of data centers is through the use of a nighttime cooling and thermal energy storage system. The system works by cooling water at night, when temperatures are cooler, storing the cooled water in large insulated tanks where it retains its temperature before being pumped throughout the facility to cool our servers during the day. Singapore’s small size inspired us to try something a little different. Instead of spreading the data center out, we built it up, creating our first urban, multi-story data center. Our neighbors include a local primary school and several HDBs (for non-Singaporeans, HDBs are publicly run housing, which around 85% of Singaporean’s call home). Our local team chooses a theme for each of our facilities. In this case, they decided on robots - complete with a 400 kilogram centerpiece designed by a Thai artist from scrap metals. 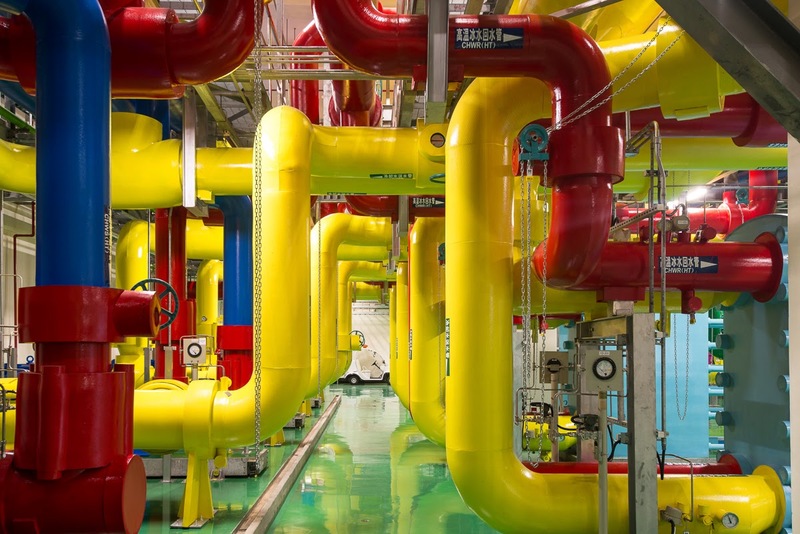 If you’d like to learn more about our global data centers, including a photo tour of the inside of several of our facilities, check out our data centers site. There’s also information there on our sites in Taiwan and Singapore, including links for non-profits interested in applying for one of our bi-annual community grants. 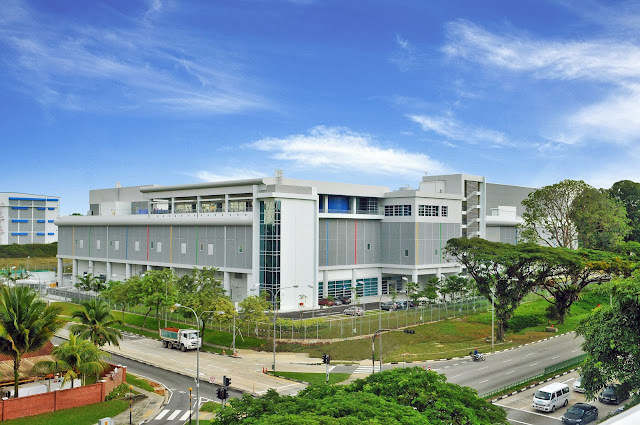 Two years after we announced our plans to keep up with Asia’s Internet growth with our first data centers in the region, our facilities in Taiwan and Singapore are now up and running. Thank goodness they are. While we’ve been busy building, the growth in Asia’s Internet has been amazing. The number of Internet users in India doubled, from 100 million to 200 million. It took six years to achieve that milestone in the U.S. Between July and September of this year alone, more than 60 million people in Asia landed on the mobile Internet for the first time. That’s almost two Canadas, or three Australias. And this growth probably won’t slow for some time, since the majority of people that have yet to come online also happen to live in Asia. Looking forward to the increased connectivity and speed this will provide in India..
Nice things, now Asia People do not facing problems in search & Saving online documents. It also good for Asia People to get jobs opportunity in Google Data Center. When exactly did the data centres come online? Nothing of the Google domain opened for a few hours yesterday, and being in Asia I'm wondering if this was related. Also, can Google please respect browser's language settings instead of displaying whatever language of the country that owns IP address? Sad that these centres are opening whilst the Hong Kong project is being abandoned. Taiwan is a good place. <3 ! Thanks Google for doing great job for Asia and for the world. are there job openings for the Singapore or Taiwan data centers?